3 How To Buy Jio 4G Feature Phone? Hi guys, welcome again to avjtrickz, are you wondering about the title of this post? It is true & great news for all Jio lovers. 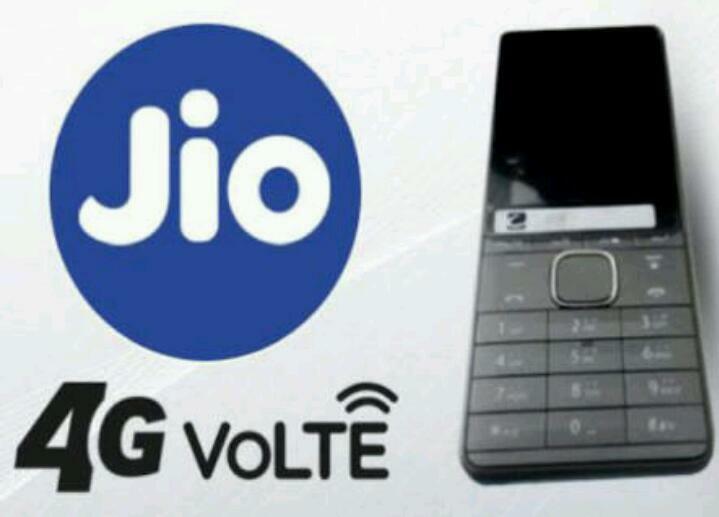 Reliance Jio announced its feature phone on Friday 21st July at price of Rs.0. Read below to know full details! The phone price is Rs.0, but You should pay Rs.1,500 for the phone, which is fully refundable after 3 years. That means you can buy this phone for free for 3 years! At the Reliance AGM on Friday, Mukesh Ambani announced Jio phone was introduced as “India ka Smartphone“, for an “effective price of Rs. 0” – but you have to pay a “fully refundable” Rs. 1,500 deposit, refunded after three years. But the company’s has been restricted to smartphone users as it is a 4G only network, and to make calls, a phone has to support the VoLTE technology, which is usually not found on basic phones. The company aims to change that with the JioPhone, which comes with 4G VoLTE support. How To Buy Jio 4G Feature Phone? The phone will be available from August 15 – for testing, in beta, and for pre-booking from August 24 you can use MyJio app or Jio.com. Users who pre-book will be able to buy the phone from September, on a first come first serve basis. After three years, you can return the phone, and get a full refund on the deposit. It will come with a couple of different data packs. Users can either pay Rs.153 per month, for which they will get free voice and SMS, and unlimited data, along with Jio apps, or you can pay Rs. 309 per month, to get all this, plus the support for mirroring your screen on a TV, via a cable that can even be plugged into CRT TVs. Aside from that, the company will also have two small packs, at Rs. 24 for two days, or Rs. 54 per week, for users who don’t want to commit to Rs. 153 as an high payment. You can also read New Data plans for Jio sim users. The phone comes lot of Features with a number of apps and browser installed aside from Jio’s offerings too. Such as Facebook, YouTube etc. and also PM Modi’s Mann Ki Baat broadcast.This will also support UPI payments, and debit and credit card payments, similar to Samsung Pay. We already added the technical and software specifications early. Read Full Features of Jio new 4G device. the company realised it would have to release a 4G VoLTE feature phone, as even an entry level smartphone costs between Rs. 3,000 and Rs. 4,500, Ambani said. So, that’s all about this great news from jio. If you like this article, Please share it with your friends and help to know them. We will be back soon with another awesome article!